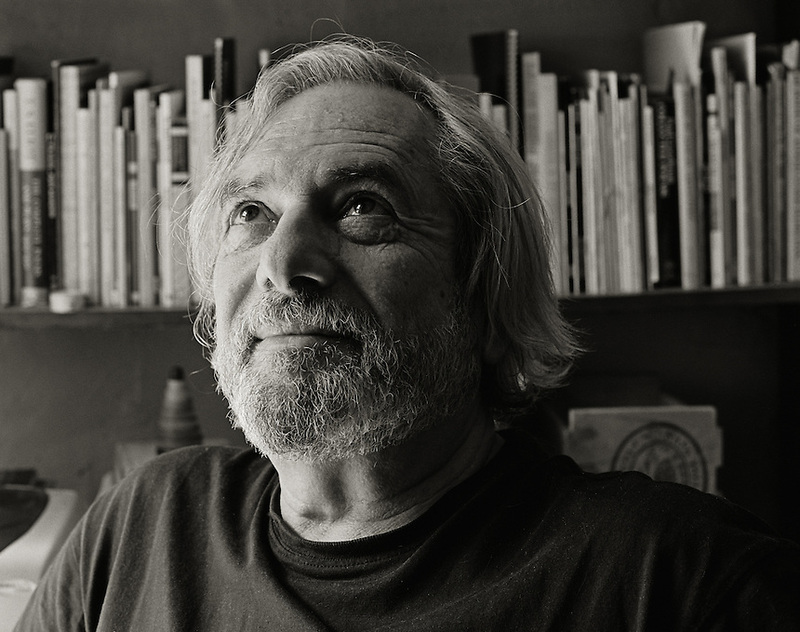 Born in Far Rockaway, New York City, Larry Fagin grew up in New York, Hollywood, and Europe. He began associating with other poets and writers in 1957, meeting David Meltzer in Los Angeles, and Allen Ginsberg, William S. Burroughs, and Gregory Corso two years later in Europe. He received a BA from the University of Maryland in 1960 and in 1962 joined the Jack Spicer circle of poets in San Francisco, where he also was friends with Michael McClure, Philip Whalen, Robert Duncan. At the 1965 Berkeley Poetry Conference he met Charles Olson and Robert Creeley, and befriended Ted Berrigan and Lewis Warsh. During two years in London, he began friendships with Tom Clark, Jonathan Williams, and Aram Saroyan. In 1967 he returned to the United States and, after a year in San Francisco, where he became friends with Clark Coolidge, settled in New York’s East Village. There he maintained his friendship with Beat writers and developed extensive connections with the New York School of painters and poets (including Berrigan, Anne Waldman, Warsh, Ginsberg, Bill Berkson, Ron Padgett, and Charles North) – the latter associated with the Poetry Project at St. Mark’s Church. He began publishing the Adventures in Poetry magazine (4 vols., March 1968–Summer 1969) and chapbooks (1970–1976). In 1975 he founded Danspace with Barbara Dilley and was its artistic director through 1980. He taught writing for many summers at Naropa Institute’s Jack Kerouac School of Disembodied Poetics, as well as at the New School University. In 2000 he revived the Adventures in Poetry imprint with Cris Mattison, publishing books by John Ashbery, John Godfrey, Kit Robinson, Alan Bernheimer, Jean Day, Carla Harryman, North, Coolidge, Kenward Elmslie, and others. Since 2000 he has edited and published Sal Mimeo magazine and continues to teach privately. For more see Larry Fagin. Clark Coolidge is a revered figure in the world of American and world experimental poetry, with much of such writing of the last 50 years seeming a footnote to or at best elaboration on his most radical reaches. Reading Coolidge's work is to "come back, this time enclosed, trim in paper. Plain sky part of sewn perimeters. Gurries and wobblances. The handtorch shows the tune its rock to turn." This Selected Poems will be how Coolidge's revolutionary early works will be read for generations to come. Lyn Hejinian writes, "Reading through the still incredible work collected in this exemplary Selected Poems, I marvel all over again at the force of even the 'smallest' of Clark Coolidge’s poems. Coolidge’s sonic expertise has often been noted, and music—especially bebop and what has followed it—clearly has suggested to him ways to generate rhythmic clusters, to ride accelerations, to invent scales. No other poet ever has so exquisitely, and sometimes also turbulently, written sheer sonic wonder into poetry." This volume includes an introduction by Bill Berkson, entitled "The Spools of Clark Coolidge," recounting Coolidge's coming up and influences as well as eloquently expressing the visionary nature of his poetic enterprise.